Q: Renasant was recently recognized by Time’s Money.com as the best bank in the south. So what makes Renasant the best bank in the south? A: Culture. A culture of understanding has provided sustained success within Renasant for more than 114 years. We try to meld financial technology with relationship banking to provide an experience that first understands then meets our clients’ financial needs. So when Time’s Money.com named us the Best Bank in the South, we believe it’s very much an honor but also something we have to continually strive to be the “best bank” in every interaction we have with our clients. And with more than 190 locations across the South and still growing, we look to be the financial services institution of choice in every community we serve. Q: How has the core consumer banking product provided by banks, which is a checking account, changed over the years? A: Core consumer banking, which is pretty much checking for this conversation, has changed more than most people probably realize. What began as simply a safe place to keep your money in exchange for a small monthly fee has morphed into various checking offers. From no frills free checking, to interest bearing checking, to digital checking with mobile payments to value driven accounts with points and discounts, checking choices have come a long way. With today’s modern checking choices, the consumer really wins and banks have an opportunity to differentiate themselves by providing value beyond just safely holding ones money. Q: How does Renasant’s checking account choices differ from other financial services institutions? A: Thank you for that lead in, ha. 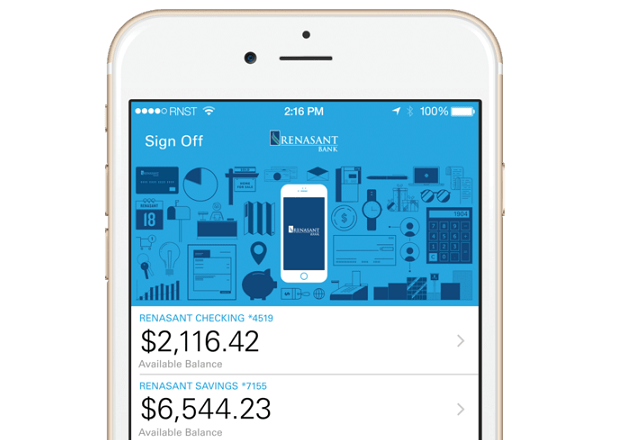 Renasant has tried to provide a souped-up checking account that provides value yet meets all modern day banking needs. It’s packed. Our Rewards Extra account offering has mobile phone insurance, road-side assistance, and id-theft protection. But that doesn’t even scratch the surface. It also has more than 400,000 coupon style discounts that are push alerted to you through geo-fencing when you are near the retailer. You don’t even have to look them up. All of this is through the Renasant Rewards Extra App powered by Bazing. In addition, it refunds up to $25 in ATM fees per monthly cycle and pays you a CD-like rate on your deposits, up to $25,000, when you meet three easy requirements. It’s almost ridiculous how much value there is in this account that’s only six dollars a month, which more than likely, will be easily offset through the interest rate, digital couponing discounts and ATM refunds. Q: How has technology impacted modern day checking account services and products? A: Today, technology has allowed people to bank anywhere and anytime they want. In addition to the Rewards Extra account options previously mentioned, we provide Zelle for easy person-to-person mobile and online payments, mobile check deposit and in-app mobile transfers. All of this helped us provide a checking experience suitable for the Best Bank in the South. Ironically the rise in technology has made relationship-style banking more important than ever. This is because as interactions become more limited, you have a smaller window to serve your client and when they need you, it is often because it’s a deeper need than technology can provide such as financial advising, commercial development projects, etc. 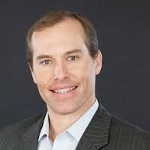 Q: What’s next for banks as old-style checking accounts clash with new fintech options? A: Banking experience will have to become more valuable as technology will decrease the “client touches” and locations will transition from check cashing teller windows to financial advice centers. This is already happening today. Opening accounts must be an easier digital process and eventually the phone will replace the wallet but many retailers have not adopted nearfield payments yet. But from face-time banking to real time financial management through personal financial management apps and person-to-person payments, the shift to relation-tech is real and banks that are not offering fintech options to deepen their relationship with clients will fall behind quickly.